Turning 70 in April has been a cause for assessment, reflection and wonder – where did the years go? Life for me these past 40 years has been a wander, some might suggest that I have been lost, and at times I have been, but we all get lost at some time in our lives. Growing up in Newfoundland with a Scottish mother, I had always felt my roots were elsewhere. On my first ever visit to Scotland, a few short years after my mom died, I instantly knew where part of me belonged. My mom died young and we had little appreciation for her journey and the beginnings of her new life in Newfoundland, but our visits to our aunt who had moved to a small fishing village in the north of Scotland offered some insights. Perhaps the wanderlust in my soul is an effort to better understand my mother’s journey to Newfoundland in 1945 with my two-year-old sister and to better appreciate her challenges, experiences and feelings building a life in a place far removed from the Scotland that she left. My need to help those less fortunate definitely comes from my mom, as she was kind to the extreme, with little by way of personal possessions. In 1992, I wrote an article published by St. Mary’s University called Building the Base: an exercise in economic development. I had come to my own conclusion in my earlier years of working in community development, with the guidance and mentorship of some very wise masters of this process that it was about people, relationships and care. Building a base is never easy, but always a necessity if anyone is to move forward, whether climbing a mountain, building a home, helping the poor, or creating a life for oneself. 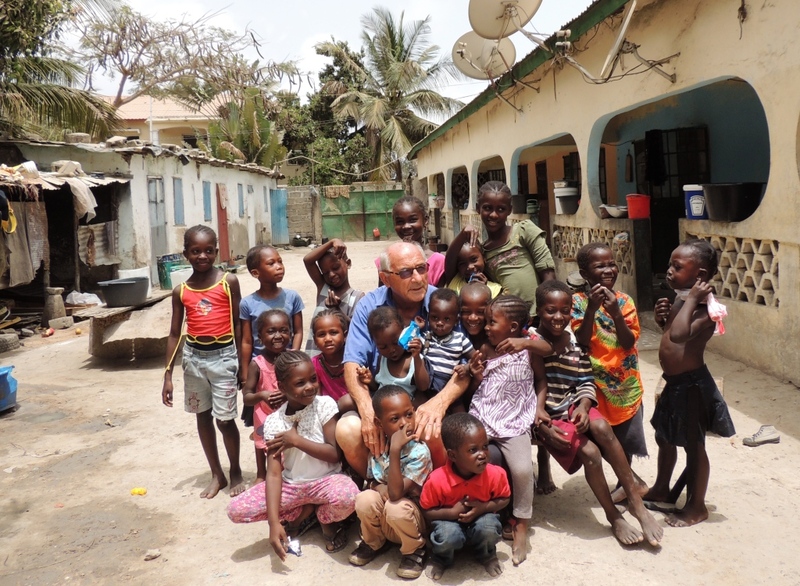 My base is now partially built with the re-connection with my Gambian families, friends and colleagues, and a place to live completed. I now must return to an even more urgent and difficult aspect of the base needed for my work. That is, to find the means to acquire the funds to pay for the school fees, medical bills and food supplies required to help those who have no means to do so for themselves. On previous occasions I had small stipends from my volunteer work, which allowed me to leverage my own minuscule savings. But, it was only due to the generosity of my sister and her husband and other family members and a few very close friends during my time back in Newfoundland that I was able to continue this work. The proceeds of my house sale before leaving Newfoundland has gotten me to this point in my base–building, but the abyss is very close, and my focus has to shift to finding a means to augment my very basic Canadian pension. So, once again I sit on the edge of a precipice, as I have so many other times in my life and ponder: what next? I have started something that has given me much pleasure but involves a personal responsibility to many. Now with diminished resources, finding a way forward becomes an urgent challenge. As always, I am grateful to all those who have helped me find my way to this point in my life, and I look forward to fulfilling your confidence that a way forward is always possible.